Is the official name San Siro or Inter's name Stadio Giuseppe Meazza? Inter, lo Scudetto? Mettilo nel culo!!!!!!!!!!!!!!!!!! Giuseppe Meazza was a Inter player in the 20's and 30's. He is still considered to be one of the greatest Italian players ever. He was in the 1934 and 1938 world cup winning sides. He did play for AC for two seasons towards the end of his career. Giuseppe Meazza is the official stadium name. San Siro is an area of Milano where the stadium is. 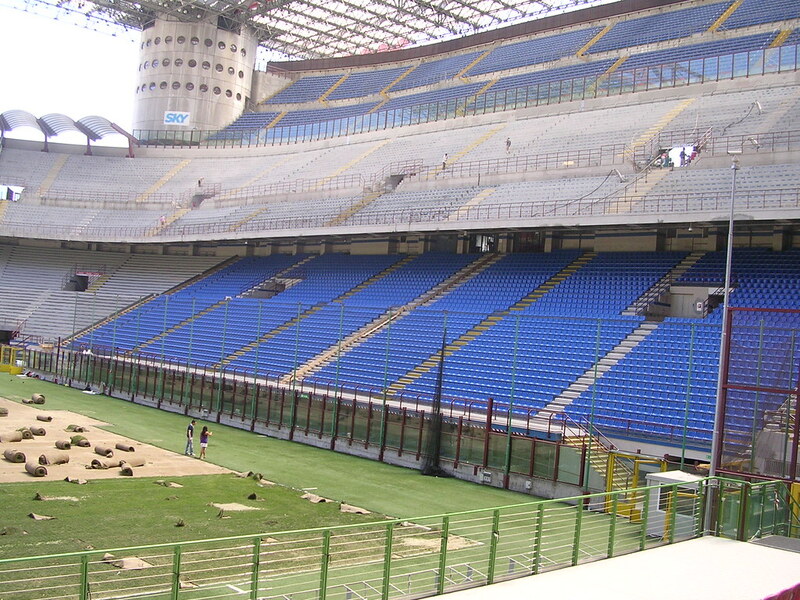 San Siro once had the capacity of 150 000 seats inside the stadium. Since then, it just became smaller and smaller. 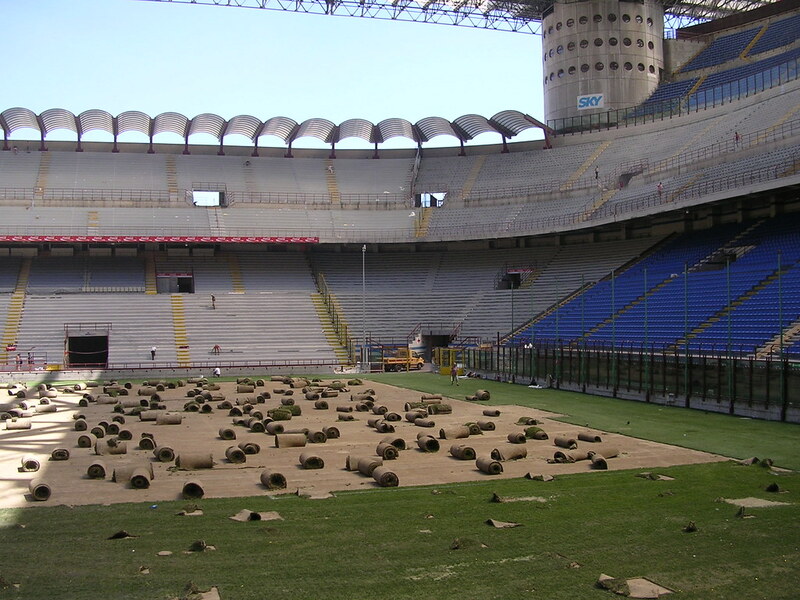 For the few of you who also attend matches at the Meazza, you may be interested to see the changes we are getting. New proper seats with back rests are replacing those stupid arse cushions and the whole place is being cleaned for the first time in 20 years. Capacity will go down slightly, but looking good, colour scheme is nice. I'm guessing they will add RED seats on the other side of the stadium? Your seats have always been blue. I doubt thy change the colour code. The reds should be on the side where the picture is taken. Nah the colours are unrelated to the clubs, your fans sit in the Southern tribunes which are the blue zone. Inter sit in the Northern tribunes which are green, while the Eastern and Western tribunes are orange and red respectively. Its just to make finding your seat a little easier - apparently. I was hoping they would make all seats black, for both clubs, plus it would make the place seem even bigger. According to Mourinho, we hope to be in our new stadium by 2015, however Milan still have no plans to build a new stadium/buy the Meazza, so you'll be stuck with whatever the council gives you.